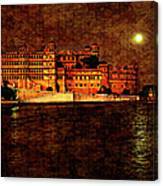 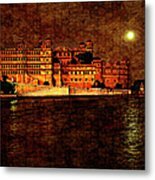 The city palace of Udaipur, India glows in the moonlight. 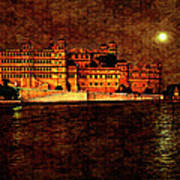 Photo taken from a balcony in the Lake Palace Hotel. 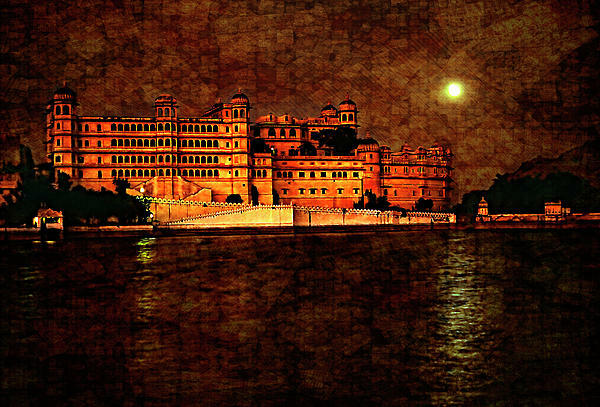 Texture overlay.